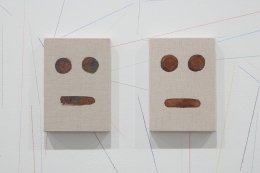 Sean Kelly is delighted to present Twofold, an exhibition by London-based artist Peter Liversidge. 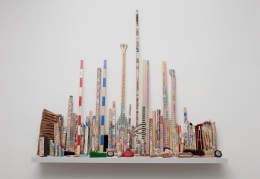 An opening reception will take place on Saturday, September 10 from 6:00 to 8:00pm, the artist will be present. 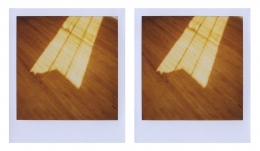 A focal point of the exhibition will be Liversidge’s Polaroid diptychs, presented together as a series for the first time. 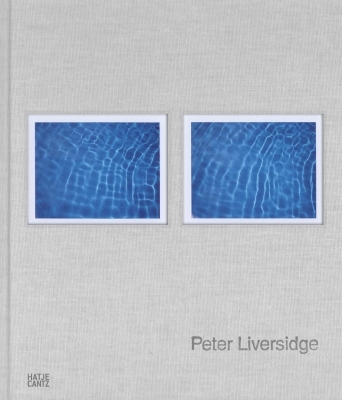 Using a hand-held instant film camera, Liversidge takes two images — the initial shot guides the composition of the second, which is taken mere moments after the first image has fully developed in an attempt to replicate what is captured at the exact point of the original exposure. 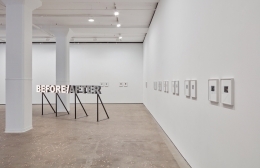 Inevitable differences between the pair become evident and are essential to the works, not only in their reading, but also through their record of the passing of time — a quality not present in the individual images on their own. 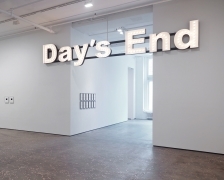 The exhibition will feature a pair of Liversidge’s bulb sign sculptures, BEFORE/AFTER & Day’s End, installed like bookends with one at the front entrance and one at the back of the main gallery. 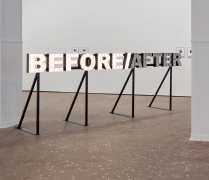 BEFORE/AFTER is operated on a random timer so that at any moment the lights switch between the two words. 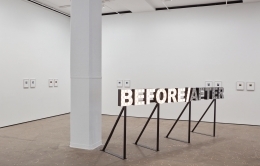 The switching between the two is the key to the work, inviting viewers to question at what point they are in the experience – before the event or after? 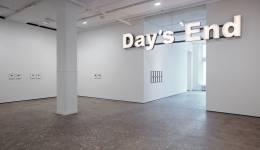 Day’s End directly references the title of a work made in 1973 by Gordon Matta Clark. 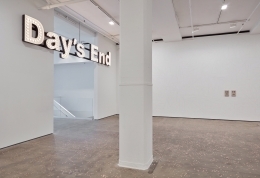 Liversidge’s work is an invitation to think about something very specific without presenting a defined sense of what Day's End actually is, was, or will be. The exhibition will also include performative works that will involve visitors and gallery staff. 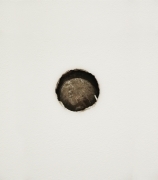 In Coin Drop invited guests will be invited to drop 25,000 brand new pennies onto the gallery’s floor during the 3 hours leading up to the opening reception, thereby creating a readymade sculpture. 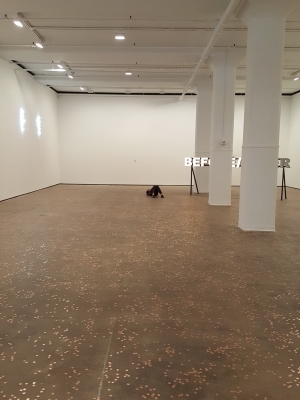 The arrangement of the coins will change throughout the duration of the exhibition, shifting placement as visitors walk over them. In Sleeping Performance, one person from the gallery’s staff will be invited to sleep directly on the floor of the gallery every day throughout the run of the exhibition at selected times designated by Liversidge. Participants will be free to choose where in the gallery they would like to lay down and for how long they wish to engage in the work. 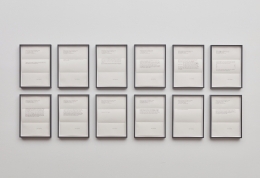 Peter Liversidge’s work has been exhibited at a diverse range of institutions across the globe, including the Tate Gallery, London; the Centre d’art Santa Mónica, Barcelona; Bloomberg SPACE, London; the Scottish National Gallery of Modern Art, Edinburgh; the Whitechapel Gallery, London; and at the Van Abbemuseum, Eindhoven. He has developed site-specific projects for the Europalia Festival in 2007, Tate Liverpool in 2008, Edinburgh’s sculpture park, Jupiter Artland, in 2009, The Scottish National Gallery of Modern Art, Edinburgh in 2010, the Armory Art Fair in 2011, and the Edinburgh Art Festival in 2013. In 2016, the Tate Gallery commissioned Liversidge to write a unique cycle of songs in response to the Tate Modern's new building, its history and its place in contemporary life. A choir of 500 people performed The Bridge (Choral Piece for Tate Modern) in the Tate’s Turbine Hall as the centerpiece of the opening weekend’s events. 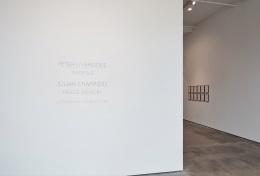 Liversidge's first solo museum exhibition in the United States is currently on view (through February 5, 2017) at The Aldrich Museum in Ridgefield, Connecticut. 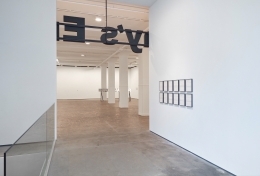 Part of Site Lines: Four Exhibitions Engaging Place, Liversidge wrote sixty proposals for the exhibition, including performances and physical artworks across a variety of mediums, guided by the concept of connecting the interior of the Museum with both the surrounding landscape and the community. Of these, twenty-four were selected for realization and are being presented at the Museum and in the surrounding neighborhood. 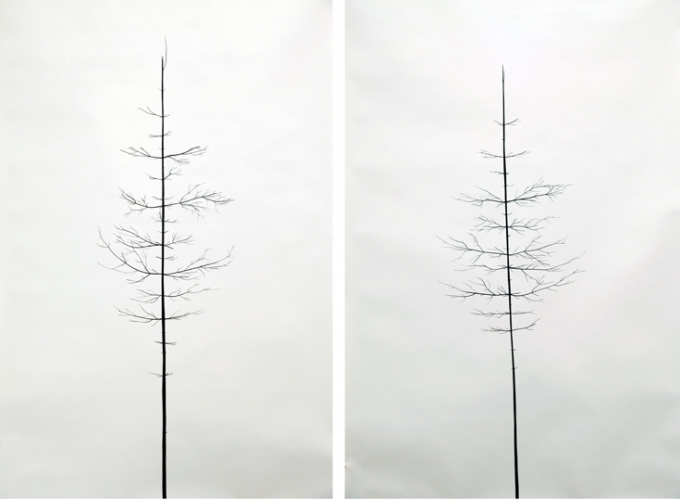 Twofold, 2016, published by Sean Kelly and Hatje Cantz Verlag, featuring the first comprehensive survey of the artist’s photographic diptychs, will accompany the exhibition and be available for purchase at the gallery. The artist will be available to sign copies during the opening reception on September 10, 2016. Concurrently on view in the front and lower galleries will be the exhibition Julian Charrière: Freeze, Memory.